When planning a trip or short stay in France or other EU countries it is advisable to carry with you a health card that will entitle you to receive medical treatment in EU countries. 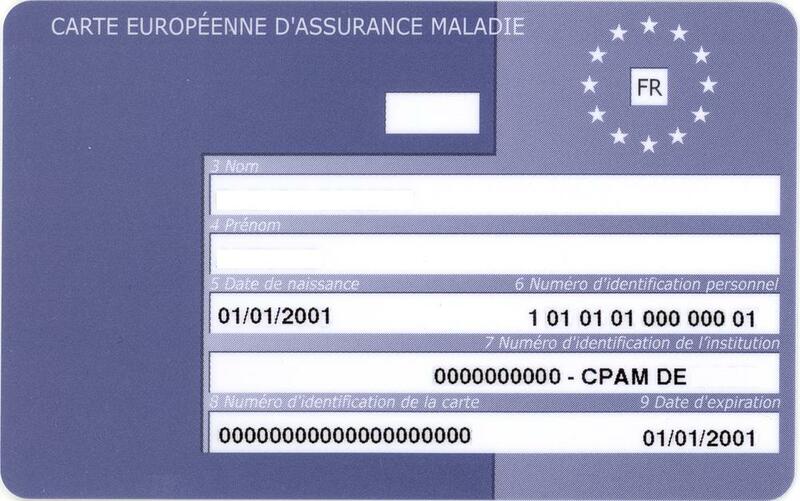 For French Residents the EHIC (European Health Insurance Card) is called Carte Européenne d’Assurance Maladie (CEAM) and can be ordered online on the AMELI.FR website. If you reside in the UK you can through the official NHS website. The intention of the EHIC is to provide ‘necessary’ medical cover for all E.U. Nationals travelling within the European Economic Area (EEA). So people who are normally resident in the UK are entitled to a UK issued EHIC. However, this UK issued EHIC is not valid if you are going to live abroad. Each member of a family is required to hold an EHIC card. The EHIC is normally valid for three to five years and can be used to cover any necessary medical treatment due either to an accident or an illness within the EEA. The card entitles the holder to state-provided medical treatment within the country they are visiting and the service provided will be the same as received by a person covered by the country’s ‘insured’ medical scheme. The EHIC can also be used to receive treatment for pre-existing illness, chronic diseases and routine maternity care, but conditions do apply and the EHIC certainly does not cover persons who are visiting a country with the main intention of receiving medical treatment. The EHIC entitles a visitor to ‘necessary’ healthcare but not necessarily the total cost of care. It is not the intention, for example, of the EHIC to provide treatment that could wait until a person returned home (most types of dental treatment for example) nor to cover treatment that, when taking a trip or holiday, requires specialist medical surveillance, and in particular the employment of special techniques or equipment. However, in such cases a dialysis for example, we are aware of instances where, if a an EHIC holder visits their local UK dialysis unit, then that unit should be able to make arrangements for the EHIC holder to receive treatment in a similar unit in France. Should that EHIC holder discover that their dialysis unit is unable to help, or, even worse, on arrival, that such arrangements have not been made, then they can attempt to contact the local doctor in their locality in France and request that they make such arrangements. Entitlement in France under the French State medical insurance system differs widely from that in other EEA countries. All reimbursements are based on the ‘official price list’ called the tarif de convention. It should be pointed out that medical practioners are permitted to charge more than the tarif de convention. This, the depassement as it is known, is paid by the patient, and the gap between the cost and reimbursement is substantial and in some cases can be serious. Thus, it is important to ensure that any treatment or advice you receive falls under the tarif de convention. Doctors, dentists and prescriptions: make sure the doctor or dentist you consult is ‘conventionné’ – i.e. they work within the French health system and under the tarif de convention. After treatment, obtain a signed statement of the treatment given (a feuille de soins) – you cannot claim a refund without it. You will be charged for the treatment you receive, as well as for any prescribed medicines, and the amount(s) should be shown on the feuille de soins. Around 70% of standard doctor and dentist fees are refunded and 35% – 65% of the cost of most prescribed medicines. The cost of common remedies and items such as bandages are refunded at the lower rate. Make sure you keep your receipts. The cost of medicines marked with a ‘vignette’ or NR’ is not recoverable. You must pay for out-patient treatment and then claim a partial refund from the local Caisse Primaire d’Assurance-Maladie or CPAM, while you are still in France. To do this, take your claim to the local office. They will take your details and you will hand over the claim with your receipts. When you are back in the UK, you will receive an itemised list of your claim. Once agreed, a bank order will be posted to you. This can all take a couple of months. If you are treated as an in-patient in an approved hospital and show your European Health Insurance Card (EHIC), the office will pay 75 per cent or more of the cost direct to the hospital. You pay the balance. You must also pay a fixed daily hospital charge (forfait journalier). The 25% balance and the forfait journalier are non-refundable. •With thanks to Roger White of Healthcare-France.